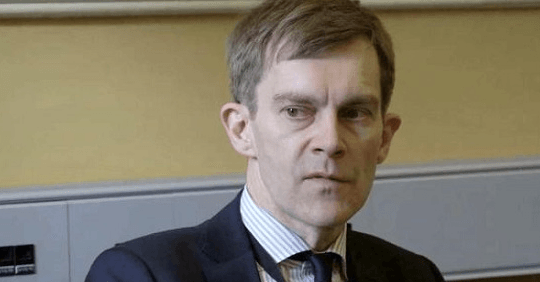 Footage has been unearthed by The Backbencher which shows Seamus Milne, Corbyn’s communications director and closest adviser, defending significant aspects of East European communist regimes during a 2009 radio interview with George Galloway. Milne claimed that ‘If you look at the opinion polls then and even more now most people in a good number of those countries regret the loss of those benefits and the positive aspects of that [communist] system’ before adding ‘in Eastern Germany most people have a positive view of the former East Germany, the GDR, and regret its passing’. Milne went on to add that the advantages of communism to Eastern Europe have ‘been forgotten here, but they haven’t been forgotten there which is why people in Eastern Germany today are more and more missing those things and remembering them in a positive way’. Milne explained the collapse of communist regimes in Eastern Europe by claiming ‘there were a group of people in power who saw that they stood to benefit from the restoration of capitalism’. Whilst ‘many ordinary people who benefited in many ways from the form of socialism there was in Eastern Europe didn’t really feel ownership of the system’ so ‘they didn’t necessarily see what was happening [communism collapsing] or what they could do to stop it’. I’m pretty sure that ‘didn’t really feel ownership of the system’ is the most understated way of describing living in an authoritarian dictatorship yet devised by man. The Spectator recently revealed that Milne has written the forward for a book which largely defends the East German secret police, the Stasi. Given their apparent sympathy for authoritarian dictatorships, is it time to ask just how committed to democracy some of Corbyn’s inner circle really are?